Ofcourse Kit Harington aka 'Jon Snow''s wedding invites were Game Of Thrones themed! 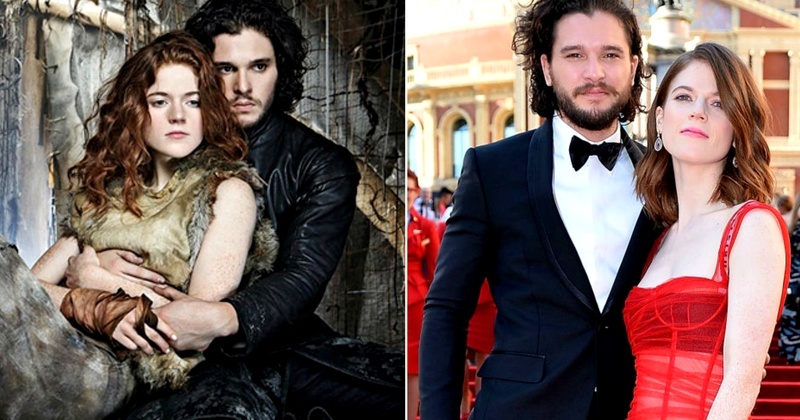 Kit Harington and Rose Leslie - Jon Snow and Ygritte from Game of Thrones, are all set to tie take their wedding vows soon! Though an official wedding date has not been announced, their wedding invites are quite the talk of the town! According to reports, the 200 wedding invitations feature Kit Harington’s face in a very special way. Actually, a series of Game Of Thrones stamps were issued by the Royal Mail earlier - one of UK’s premier mail delivery systems. Those stamps featured faces of Mother of Dragons Daenerys Targaryen, Jon Snow, Tyrion Lannister amongst the other star cast and it’s believed that’s the stamp this GOT couple has used on their wedding invites! The guests were, thrilled to see this odd/awesome gesture from Kit on their envelopes. It’s also because the invites are a tribute to the show both the actors had the chance of gracing. It was not very long back when Leslie was quoted saying, “I am trying to fit in my wedding... I haven’t tackled it. There’s just too much to do." Well, Leslie at least sending the invitations out is an important job done. Well, I have got a feeling that there might be other Game of Thrones references popped in their wedding nuptials, if not the dress code! It’s Jon Snow marrying his lady love after all! P.S: The limited edition stamps were released by the British postal service earlier this year, and can still be purchased from Royal Mail if you're a diehard fan of the series, and... stamps.